The Giants are on the hunt for that number one spot. 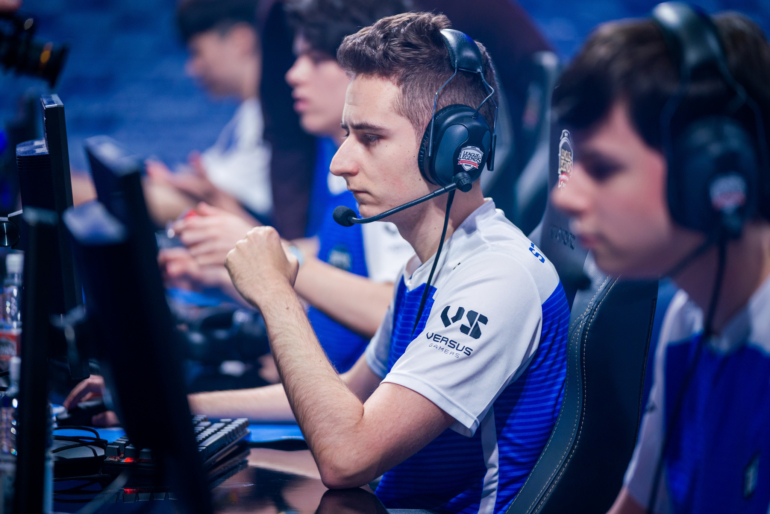 Giants Gaming overcame a large gold deficit to pick up a commanding victory over Misfits today in the EU LCS, keeping them within reaching distance of Team Vitality’s top spot. Giants and Misfits both sat on a scoreline of 4-2 going into the matchup after an impressive first three weeks. Both teams knew, however, that a win today would break the second place tie. Misfits had a commanding gold lead thanks to the bot lane and jungle’s CS advantages in the early game. Misfits’ Rengar cleaned up jungle camps with ease as the Ezreal kept Giants’ Tristana at bay to take an early lane advantage. Giants attempted to get back into the game by picking up as many kills as possible, but it wasn’t enough. Misfits used their team composition to full effect to take down towers and objectives to stay in the lead. Misfits became overconfident in their plays, however. They didn’t respect Giants’ team composition and what they were capable of in the late game, and ultimately, it cost Misfits the match. After securing the first Baron after a successful team fight, Misfits knocked down a few towers but couldn’t really break into the Giants base. Misfits had to rely on another objective, another Baron, to give themselves enough power to finally seal the win. Giants had other plans, however. With Misfits scattered, they snuck the Baron as soon as it spawned, successfully taking it from under Misfits’ nose. Misfits tried to steal the Baron at the last second but it proved costly, with Giants and Misfits getting three kills apiece in the Baron pit. Upon respawning, the teams clashed in the mid lane for a last deciding fight, which Giants came out of victorious. With the members of Misfits down, Giants rushed down the mid lane right to the Nexus and secured the victory. With a win under their belt, Giants will be looking to pile the pressure on Team Vitality at the top of the table with a victory against Fnatic late tomorrow.